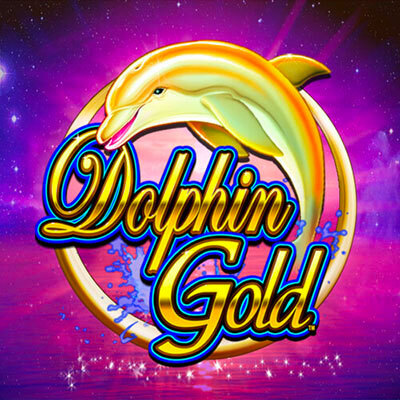 Dolphin Gold is a slot game which will have you diving into the ocean depths to take a swim with one of the friendliest ocean creatures- dolphins. This beautiful aquatic themed game is designed by Lightning Box. It has 5 reels and 40 paylines and a host of sea life symbols. Take the dolphins for a spin and win bonuses like wild multipliers and free spins that can go up to 21 times. Stakes start at as low as 40p to £80 a spin. Lightning Box has a unique philosophy. They believe that any slot game can be a quality title if it has a mix of amazing graphics, great math, cinematic audio and an extra touch of magic. Few have been able to disagree with them considering the high standard their games have. The thing that stands out most in Lightning Box games is that they are created with an element of “gambling entertainment”. This means their games are popular among many land-based and online casinos and that their audience grows to appreciate them with each release. The game’s setting is a beautiful aquatic scene decorated with colourful corals and bursting rays of light shining down. The reels here are animated beautifully withseveraltypes of sea creatures liketurtles, manta rays and seahorses. Symbols and images in the game appear very realistic and the animation flows seamlessly. There’s bubbles and tiny shrimps swimming along the reels as you spin. There is a very special pair of dolphins you need to be on the lookout for. Wild symbol- The blue dolphin symbol acts as the wild and scatter. When it is used to form part of a winning combo, the resulting win is doubled. It only appears on the reels at the centre. Free spins- Free spins are activated whenever you land 6 or more wild or scatter symbols on the middle reels. You can win free spins depending on how many dolphins you land from as low as 6 for 3 free spins to 12 for 21 free spins. You can win more free spins by re-triggering the feature. The second wild is the golden dolphin. During the free spins bonus, stacked golden wilds are added to the reels in the middle. If you get a win with them, it is doubled.